Our product range includes a wide range of 1 hp 2 stage regenerative blower. 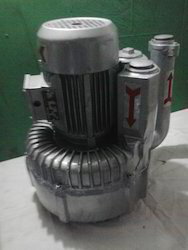 We are one of the leading manufacturer and supplier of 2 Stage Regenerative Blower. Our product is made up of superior quality raw material which is procured from trusted vendors. Our product is widely available in market at reasonable prices. Looking for Double Stage Regenerative Blower ?